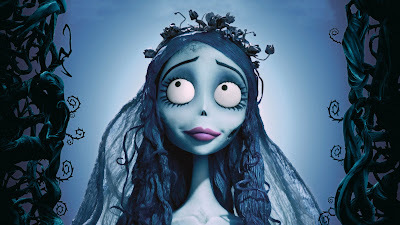 This is me a few years back when I went as the Corpse Bride. 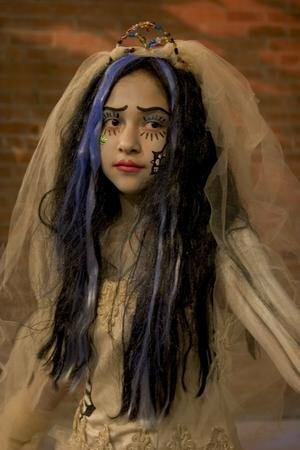 A few years ago, I went as the Corpse Bride. We took a thrift store wedding dress, soaked it in the kitchen sink with 8 large tea bags, bought a wig, painted some blue on it and we painted my arm like a skeleton. My dad painted my face, the eyebrows are key. You gotta get that “curvy” thing down! My mom added a light blue wash color to my skin using watered-down body art paint. Corpse bride is one of my favorite cartoon character. She’s scary but cute. And the costume of the models looks like the original. This is a best design in zombie costume design.Thanks for giveaway.